The countdown IS CONTINUING FOR THE UK Baby Event at York Racecourse on Sunday 7th October, and over the coming weeks, we are planning to give you an insight into some of our exhibitors who will be taking part in this one-day show so you can learn more about what they do and offer. Little Learners is the UK’s leading messy play franchise offering educational sessions for babies, toddlers and pre-schoolers. 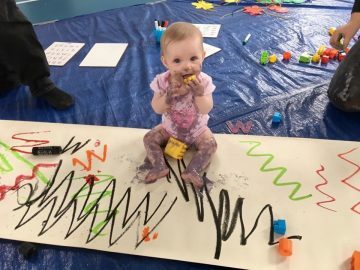 The concept of messy play and mark making classes is an innovative, safe and fun way of teaching early writing skills to little ones. 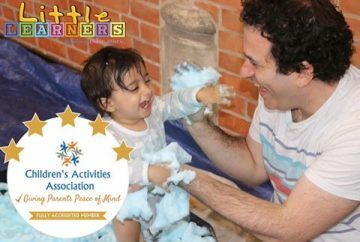 Parents and carers who have tried their messy play classes are amazed with the benefits and have seen first hand how much their children have developed. Our educational messy play is increasingly popular and sought after by parents. The organisers are looking for passionate and driven individuals to join them as franchisees and help meet this demand. You can benefit from this Flexible Franchise Opportunity! Here are some top reasons why Little Learners’ Messy Play franchise is a fantastic opportunity.. In 2016, they received the “Highly Commended” recognition in Franchise of the Year category, at the mum and working awards. They were also proud finalists for six national awards in 2016. In 2017, Little Learners won Business Growth of the Year recognition from Networking Mummies Awards. They were a recipient of New Woman Franchisor recognition from the EWIF Awards, and Best Newcomer recognition from Top Franchise Awards. 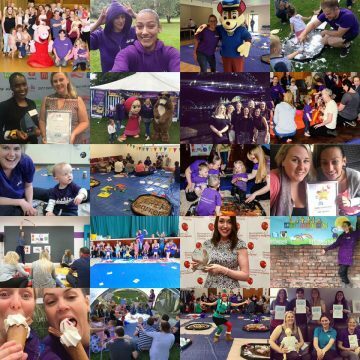 All their franchisees across the UK are passionately committed to contributing to the early developmental years of young children. 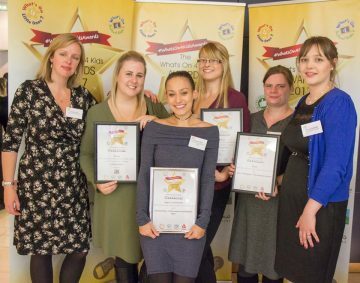 In 2017, 3 of their franchisees gained recognition in the Franchisee of the Year Category at the working mums awards and one won Outstanding Activity Leader in the What’s on 4 kids awards. 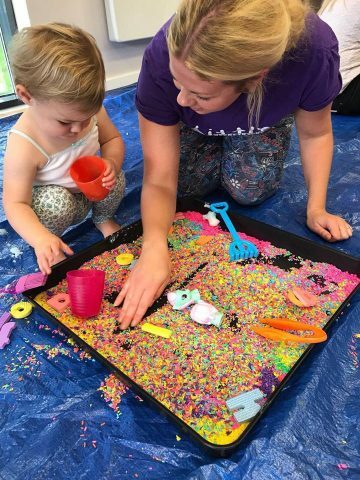 The messy play class concept followed at Little Learners was created by Rachel Fay, a qualified teacher specialising in Early Year Education. Centred around “The Mark Makers”, the concept is designed to teach kids through messy play. In each messy play class, kids focus on one of the characters from the “The Mark Makers” via a range of play activities including painting, scribbling, play dough and dancing. Kids use their fingers, hands, feet and toes to make marks, which helps to strengthen their core muscles and develop their motor skills. Their messy play classes prepare kids for school-age activities such as holding a pencil, forming letters and numbers, and writing. They have also achieved Gold accreditation from the Children’s Activities Association! Contact Little Learners today to learn more about their franchise opportunity!